If you have a daughter, granddaughter, niece or family member, and you're looking for the ultimate photo treat, then look no further. 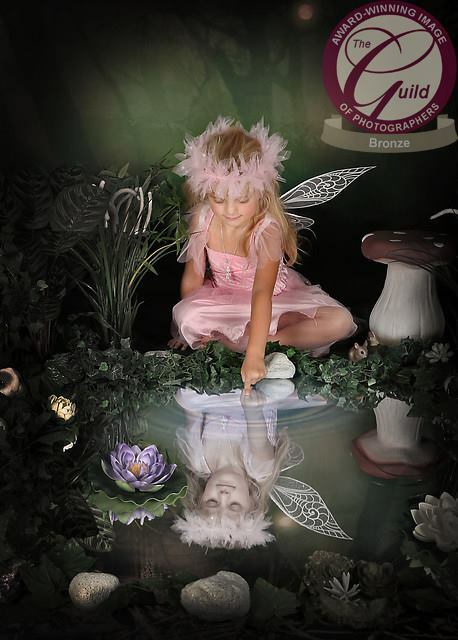 Discover the secrets of our amazing and new Enchanted Forest Fairy Portraits for your little princess. If you have a little girl aged 3-9 Years Old whose ever dreamed of being the perfect princess (let's face it, which little girls haven't) then you're in for a real treat with our amazing Enchanted Forest Fairy Portraits. We provide the wings, the outfits, and our Magical Enchanted Forest Woodland set like something straight out of a movie set. All you need to do is bring the smiles, you can leave the magic to us. We'll guide you through over 12 stunning poses, complete with frogs, rabbits, mice, lanterns, and our very special magic pond with lillies and our magical toadstool. Let her wave her magic wand as we transform her in to the ultimate princess. Once all the fun of the shoot is over, we work our creative genius on adding stars, special effects and a loving dose of fairy dust to transform the images in to mouthwatering pieces of personal fairy art that will quite simply take your breath away.